Moving to Germany? Taking a Bavarian vacation? If you want to bring an auto along for the journey then you need to get it there first. Germany is home to some of the best driving roads in Europe, wide open autobahns and the world famous Nürburgring - so if you’re a bit of a petrolhead then it should be your #1 destination for driving. When you want to take a drive to Dortmund or import a motor to Mannheim then you should make the necessary preparations and know, in advance, what to expect in terms of taxes and customs. For permanent imports you need to visit the Vehicle Registration Office, locally known as the Kraftfahrzeugzulassungsstelle – the process does differ depending on where you’re bringing the car from. Importing from the EU: Before it can be registered in Germany any car will need an EU safety conformity certification – older vehicles may need a new inspection from the relevant German authorities. You will also need information of your manufacturer and vehicle type, chassis number and model year. New models: New vehicle imports require that you pay duty to the local Finanzamt (tax office) within a week and a half of purchase. You must also obtain a tax certificate from the Motor Vehicle Authority. - Tax clearance from the Federal Motor Vehicle Authority. You may also want a certificate of permanent export from the DVLA if coming from the UK. Registering your car: The Germans are slightly more laid back than other nations when it comes to car imports. When travelling temporarily to Germany (for less than a year) you don’t need to register at all – though you will need a translation of your original registration documents. From outside the EU: Vehicles from further afield are subject to VAT and duty, but you may be able to gain exemption if importing a car as part of personal effects when relocating. You must also get customs clearance, confirmation from the CVR that the car has never been registered before and a German roadworthiness test. Prior to your car delivery to Germany, you should make a few precursory checks to ensure that the transportation comes off without a hitch. Cleaning Up: Washing your vehicle will help you identify any damage that may be caused to it during transport and will also help avoid wind-caused scratches. Taking Photos: Will provide you with solid proof of the car’s pre-transportation condition – this will be essential when making any claims against transport companies in the rare case of damage. Check it’s Running: Especially with older models, it is imperative that you know the roadworthiness of your motor. Anything that is not up to scratch could end up costing you later on. If you want to drive it yourself then you and your car are in for a great trip, but if for whatever reason you are unable to take your car across Europe personally then you can always employ a professional car transport to Germany company. Trade Plate Drivers: A type of delivery service popular with car auctions, trade platers are specialist drivers who ship cars all across the world as long as there’s a road to where they’re going. This type of service can be quite inexpensive – especially if you can find a service already making a trip to Deutschland. Single Trailer: A bespoke individual trailer is often the best way to haul a valuable or antique car, especially one that isn’t currently roadworthy. You can generally choose between covered or uncovered trailers, with the former being the more expensive option. So if you need to transport an antique car or new luxury car, this could be the choice for you – of course this method also boasts the highest cost for your car delivery to Germany. Multi Vehicle Option: When many people picture car transporters they envisage a large lorry-like behemoth, barrelling along the motorway laden with cars. 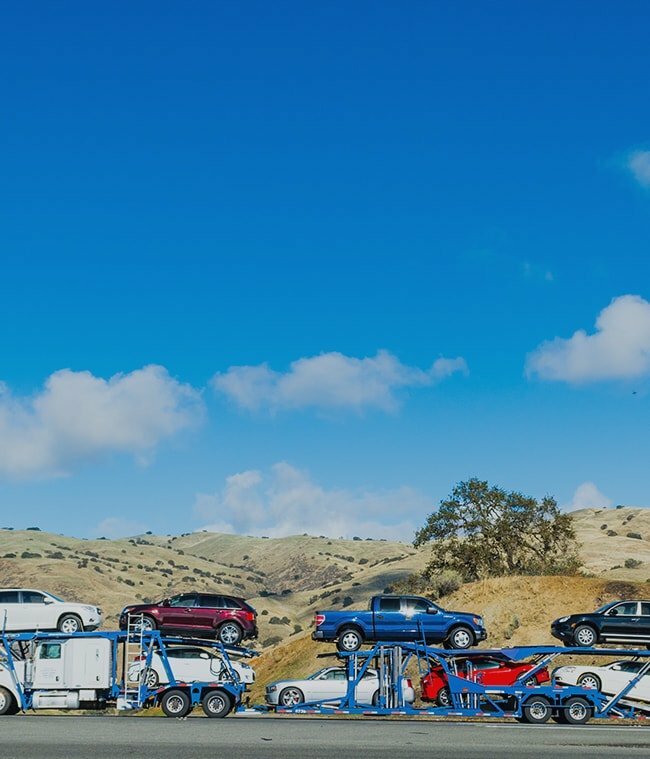 These huge multi car trailers can be used to ship vehicles internationally and are a good choice if moving multiple vehicles. The drawback to using multiple car transporters is that they are unable to provide very localised drop-offs, meaning that you face another journey to collect your car when it arrives. Shipping Options: When it comes to ferrying to Germany there are two options, to the hook of Holland and then driving, or going direct to a German port. The former is the more feasible option from the UK – the ship travels from Harwich docks and should see you in the Netherlands in a few hours and it’s only a couple more to drive to Germany from there. Finding the right car transport to Germany company is easy, if you know where to look! Trawling websites and directories for individual quotes can be an arduous task. Shiply eases the process by sneding the quotes directly to you. Just list your car with us and any transporter of our 48,000+ members will be able to quote to carry out your vehicle shipment. When multiple firms quote for your business they’re competing against one another so the price gets driven down. You can then compare car delivery to Germany companies based on their quotes as well as their feedback from other Shiply users. Once you’ve found a quote that suits you, simply accept the transporter’s quote to get your motor moving. Whether imported by ship, trailer or driven, your first step should be to inspect your vehicle for any signs of wear and tear from the journey (this is where the photos come in handy). If your car has suffered any damage then it’s important that you take it up with the transporter as soon as possible. You must also notify customs of your import (make sure to bring the documents mentioned earlier). The second thing to take care of, should you wish to keep your car in Germany, will be registration, which can be done at a local Vehicle Registration Office. Once your car is settled in Germany we’d appreciate it if you left a review for the transporter you found on Shiply. Feedback helps drivers know how to improve their service and also assists users searching for European car transporters.